Tel Beth-Shemesh is located in the Shephelah (piedmont) of Judah, near the modern town of Beth-Shemesh. The 28 dunam mound overlooks the Sorek Valley. The name Beth-Shemesh (“House of the Sun”) is indicates that the city’s patron god was a solar deity. The tel has been identified with biblical Beth-Shemesh because the nearby Arab village of ‘Ain Shems appears to have preserved the ancient name. The site also fits the geographical information given in the Bible. Tel Beth-Shemesh was first excavated in 1911-1912 by D. Mackenzie on behalf of the Palestine Exploration Fund (PEF) and in 1928-1933 by E. Grant from Haverford College, Pennsylvania. A new phase of excavations was started in 1990 by Shlomo Bunimovitz and Zvi Lederman of the Institute of Archaeology in Tel Aviv University; these continued until 2018. Our salvage excavation (conducted by Y.G. 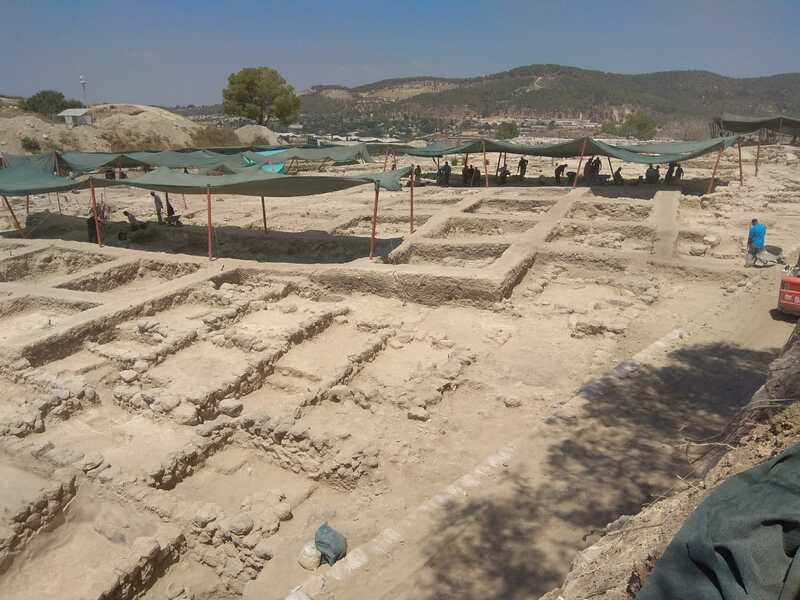 Archaeology under the direction of Yehuda Govrin) was conducted east and south of the tel in 2018—necessitated by plans to widen Route 38, which crosses the tel. Hellenistic, Roman, Byzantine and Islamic period remains were encountered in the higher strata closer to the tel. But the majority of the finds consisted of an 8th-7th century olive oil production complex and some quadripartite houses of the same period.